West Mabou Beach Provincial Park is under threat of partial development in the form of a golf course. “You may or may not be aware that the beautiful West Mabou Beach Provincial Park is under threat, once again. Nova Scotia Department of Natural Resources has been in discussions with Cabot Links/Cabot Cliffs owner to development 18-hole golf course at West Mabou Beach Provincial Park. “We feel that any attempt to compromise any part of this park with any type of development is unacceptable. We ask for your support in getting the word out on how important this park is to all of us and why it must remain, in its entirety, a provincial park. The Nova Scotia government has decided to protect the uniqueness and ecological values of the 215 hectare property. West Mabou beach has a significant beach and dune system, rare plants and outstanding scenic views. 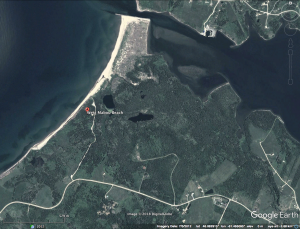 Fage says it is also the only piece of crown land that provides access along the western coast of Cape Breton Island. “The following is a description of the park from the province’s own website on protected areas. Overview: Large coastal property on Northumberland Strait with beautiful sand beach and important conservation values. Protection Values: Contributes to Province’s goal of protecting 12% of its land base by 2015; unique dune field; one species of bird found at the park is listed as critically imperilled and another two species vulnerable to expiration or extinction. In addition, two species of vascular plants were listed as imperilled and one species as vulnerable to expiration or extinction. Education Values: Range of local and regional themes including landforms, dune ecology, coastal processes, wildlife. Tourism Values: Important in regional tourism infrastructure; just off Ceilidh Trail; one of the region’s nicest beaches, significant tourist attraction; one of few high quality public beaches on west coast of Cape Breton. “We have seen a tremendous increase in the use of this park in the past number of years. People come not just on warm summer days but in all seasons, all for their own reasons. “The trails within the park are family friendly, easy and leisurely paced, suitable for all ages. The trails bring hiking groups from outside the area as well as nearby school groups on outings and field trips. The trail network has been used on numerous occasions by local athletes competing in cross country running events. “Healthy oyster beds are found within the estuary side of the park. “Nova Scotia is working towards preserving 12-13% of our land mass; this park is included in that percentage. Why would anyone want to take this jewel away from us? “There are so many positives to be said about this park. It is a very special natural space and we value above all the fact that it is a free, open public environment that we can all call our own. “Inverness County can be open for business but NOT at the expense of precious assets like the West Mabou Beach Provincial Park. Once special places like this are lost, they are lost forever. 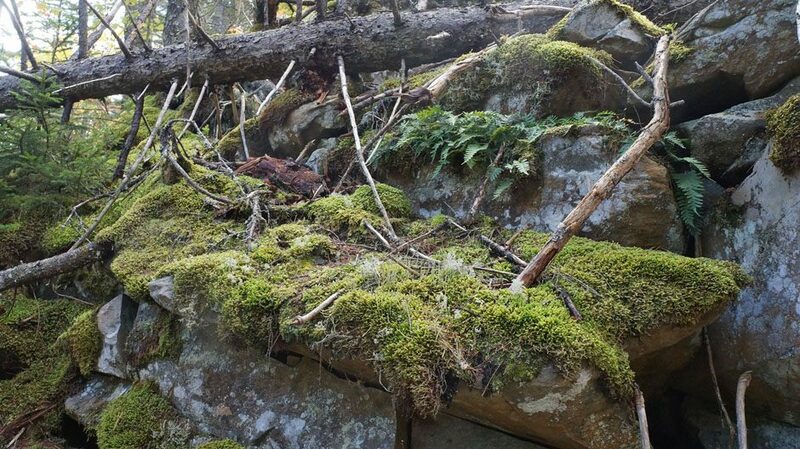 “No part of any provincial natural environment park has ever being given over for development. Such an action would set an alarming and far reaching precedent. “We ask you to please support the full protection of West Mabou Beach Provincial Park; it cannot speak, so we must speak for it. We are asking you to send off an email to the Premier and the Minister of Natural Resources, and copying it to Allan MacMaster, Betty Ann Mac Quarrie and the Minister of the Environment. Please don’t put this off, it is too important. Please pass this along to anyone you know who wants to maintain the integrity of this park and our free access to it. “The West Mabou Beach Committee is scheduled to make a fifteen minute presentation to Inverness County Council on Monday, Feb. 5 at 1:30. (We were told we should be there at one o’clock). If you are available to attend, showing your support, it would be appreciated. So let’s get our pens or fingers or mouths going on this one!